The program starts at 8:00 PM Eastern Time, 7:00 PM Central Time, 5:00 PM Pacific Time. Click Here To Listen To The Program Live. If You Cannot Listen To The Program Live Remember You Can Listen To It Anytime You Like 24 Hours A Day By Clicking Here. Most people are familiar with the concept of channeling the deceased. My “Guided Journey into the Spirit World,” can be the missing link that can help you find your answers. In the past, I did channeling for many years. I became more and more uncomfortable doing this process as I felt it was wrong to command a spirit to come on demand. Sometimes, I had departed souls tell me to leave them alone. I stopped channeling three years ago because I have found a better and gentler approach to communicating with a deceased loved one, Spirit Guides and even Angels, which I call Guided Journey into the Spirit World. I use this method over the traditional channeling because it is more effective than channeling a deceased loved one, because you can see your departed loved one personally and have a conversation with them without a third party involved. You have the connection and with my guidance you will be able to make direct contact. Doctorate in Naturopathic Medicine, Holistic Practitioner, and Intuitive. Bachelor of Science Degree in Health Service and is an Ordained Minister. A Published Author on Amazon.com and Radio Talk Show Host, my Articles has been featured and rated Platinum by EzineArticles.com as an expert author, and Isnare.com as a certified author. After 30 years of study, practice, and different experiences as a minister, I feel blessed to use these gifts to help others. It is not often that I am asked to appear on radio twice in one week. I must say that both shows were outstanding and it was an honor to be in the midst of such brilliant hosts. Often I post that I’m on programs and people say that they missed it. Well, there’s no missing these programs as they are all recorded and available for you to listen to at your convenience. My first appearance last week was on Psychics Gone Wild. This was a really fast paced program and filled with so much diversity and fun. You can listen to it at any time by Clicking Here. The host Jethro is such a knowledgeable and entertaining person, I know you will enjoy hearing him speak. The other host Dena had much to add to the program. Halloween I was the featured guest on Barbara Grace’s Radio Program. If we delved into different subjects first off the history of Halloween and from there we proceeded talking about the spirit world and the afterlife. Barbara has so much love and caring that comes through as she talks. I know you will enjoy this program. Click here to listen. Most people are familiar with the concept of channeling the deceased. In the past I did channeling for many years. I became more and more uncomfortable doing this process as I felt it was wrong to command a spirit to come on demand. Sometimes I had departed souls tell me to leave them alone. I stopped channeling two years ago because I have found a better and gentler approach to communicating with a deceased loved one, Spirit Guides and even Angels, which I call Guided Journey into the Spirit World. Using this method I am able to take people into the spirit world through astral projection. In this process you are able to see and talk directly to whoever is waiting for you in the spirit world. There is no demand on who will come to you on this journey, but it will be whoever has messages for You. I am doing a radio program on this subject Tuesday, April 22 at 9:00 PM ET, 8:00 PM CT, 6:00 PM PT. Join me for this exciting program and I will explain this different approach to spiritual communication. 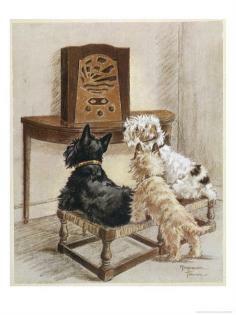 CLICK HERE FOR RADIO SHOW INFO. If you do not get to hear the program live please remember that you can listen to this program 24 hours a day as it is archived. Just click the link above and it will take you to the program. I am looking forward to being on Barbara Grace Reynolds Radio Program Tuesday, October 22, 2013 at 12:00 PM ET-11:00 AM CT-9:00 AM PT. We will be discussing spirituality, Metaphysics, and psychic phenomena. This should be a lively hour and if you cannot listen to the program live remember you can always listen to it at any time afterwards. I certainly hope you can join us and call in with your questions. The call in number is: 646-716-5054. Click here for details. Connecting With Your Intuitive Self! 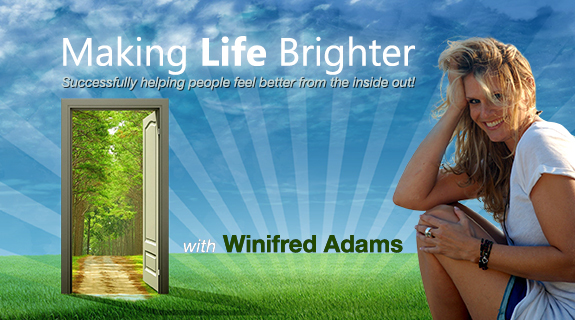 On Thursday May 30, 2013 at 12:00 PM ET- 9:00 AM PT, I will be hosting a radio program about connecting with your Intuitive Self. Join psychic Danni and me as we discuss the Higher Self, Inner Guidance, and answer your Psychic Questions. We all have the capability of receiving answers from Spirit; it’s just learning how to tune in. Join us on this fast paced half hour. You can call in at (347) 994-2531. Click Here To Read More About The Program And To Listen Live Or Later. Remember these programs are always available 24 hours a day in the archives. Would You Like To Be On My Radio Show? Do you have something interesting to share on your spiritual journey? Our next broadcast on March 25 is going to be about religious cults, if you have ever encountered one or have questions about them please let me know. Do you want to talk about past lives? Are you interested in crystal therapy? Have you experienced a miracle in your life? Whenever you feel might be of interest to the listening audience, I would love to talk to you and see if we can arrange for you to be on the program. It’s just like talking on the telephone and there’s no reason to ever be afraid. It’s quite natural and everybody who was on my last program had never done radio before, yet when you listen to them they sound like they had done it all their lives. It’s really very easy. So please contact me through e-mail or you can call me at (866)-563-3997 and we will see if we can find a place for you on the program. I’m looking forward to hearing from you.